congestion and loss of smell - had enough? What's Behind the Suffering from Nasal Polyps, Breathing Problems and Sinus Infections? 75% of polyp sufferers have problems with their sense of smell and can lose their sense of taste. 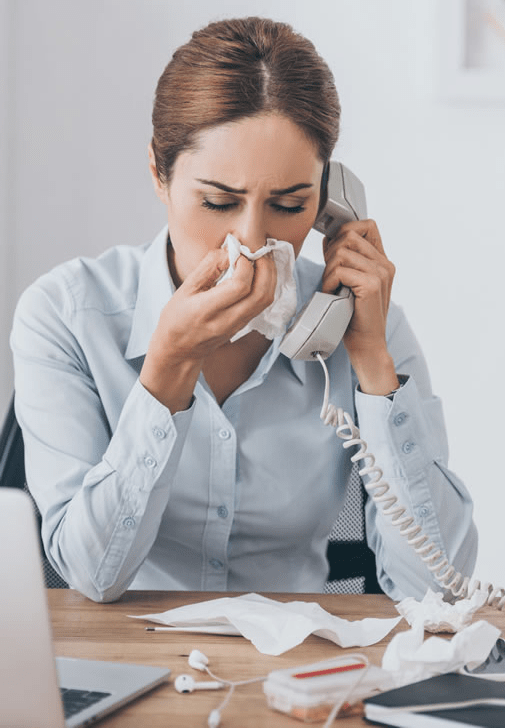 Often, there's a connection between polyps and chronic inflammation, such as sinusitis, allergies, and even asthma. When polyps are small, they may cause no symptoms. As polyps become larger, they can cause breathing problems, block sinus drainage and set the stage for sinus infection. Left untreated, polyps will keep growing. What happens when you have nasal polyps? Symptoms caused by nasal polyps are usually first treated with sprays and rinses, oral steroids, and SINUVA™ a steroid eluding spacer. If those remedies fail or if chronic sinusitis has become a problem, endoscopic sinus surgery (ESS) is often performed. Imagine a life without nasal congestion and being able to smell and taste again. SINUVA™ is proven to shrink nasal polyps, reduce nasal and sinus obstruction, improve a patient’s sense of smell, and reduce the need for surgery. Placed during a routine office visit, SINUVA™ delivers an anti-inflammatory steroid directly to the site of polyps over the course of 90 days. SINUVA™ usually cannot be felt once it’s in place. It can be removed 90 days after placement or earlier at the physician’s discretion. You’re Only 90 Days Away from Breathing Easier. No Stuffy Nose. No Loss of Smell and Taste.